Trish King is an incredibly patient and wise teacher who generously shared her vast canine knowledge and unique experiences during her Academy of Dog Behavior classes. In a field where others do not always want to divulge secrets, Trish is a rare find as she not only shares information in a way that is accessible to all learners, she welcomes feedback, debate and discussion. Her classes were full of original, powerful lessons with lively conversation and thought provoking reading assignments. Also, the hands-on learning that happened during the consults and demonstrations was invaluable. She challenged us and supported us by encouraging us to seek several different answers for each question, which helped me understand my own dogs and the shelter dogs I work with so much more. Trish is part dog-guru, part master craftsman and as an ADB graduate, I feel so fortunate to have the opportunity to call her my teacher and mentor. I am so grateful for the education I received from the ADB program. As an avid dog lover and life-long student of animal behavior, I feel so fortunate to have found the Academy of Dog Behavior. The foundation class triggered my appetite for more, and Trish's engaging teaching style and excellent story telling sealed the deal - I took nearly every class she has offered! I have been able to implement what I learned in my volunteer work at the shelter, and now that I have earned my certification, use it in my own consulting business. If you want to understand your own pet dog or help other people with theirs, I can't recommend Trish's classes more highly. All dog owners and those in the canine field should have the opportunity to attend classes with Trish King & Tricia Breen at the Academy of Dog Behavior. A wealth of practical information is presented in an organized, engaging way that helps the participant understand today’s dog and how to modify common behavior problems of our canine family members. The two instructors have an exceptional depth of knowledge and experience and are generous in offering practical solutions and insights for living or working with any breed of dog. The Academy of Dog Behavior level 1 is one of the best classes I have ever had. It gives you a general overview not only about the dog world but also about how to manage, treat and consult different dog's behaviors. It is a big step forward for working with dogs. In addition to this wonderful class, Trish shows her expertise not only with dogs but also in human interactions. She has a great sense of humor that makes the class go smoothly. I appreciated so much all her information, help and support during this time and training, and I really recommend everyone involved in the dog world to take this class. Trish is the most amazing dog person ever. She not only knows how dogs think, she also knows how to work with them to help them overcome some of their basic instincts regarding fight or flight. She knows how to calm stressed dogs and she knows how to get them to behave when necessary. She can read their minds and shape their behavior into something acceptable most of the time. 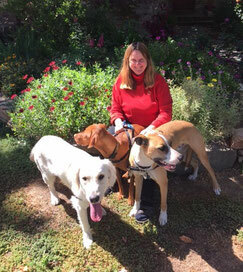 Trish has an incredible amount of knowledge regarding dogs including their care, training and behavior. For anyone who wants to know more about dogs, why they behave or think the way they do, this class is a great way to get started. It was serendipitous timing that I got my very first dog on the same week that I started the academy. I was excited, nervous and intimidated but Trish's style immediately put me at ease. She is a truly gifted speaker and educator and I'm not exaggerating when I say that she changed my life. I looked forward all week to spending my Sundays with such a great group of people. There were other novices, like me, but there were also working professional trainers looking to broaden their education. It was such a safe environment to learn. Trish and my other classmates never made me feel dumb for asking questions. I loved the academy so much that I also attended a couple of her workshops; one on common behavior problems, and one on breed specific needs. 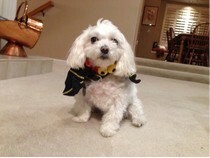 In addition, I had the great privilege of accompanying her on a few private client consultations. I took every available opportunity to soak up everything I could from her. Whether or not you decide to attend the academy, be sure to pick up Trish's book, Parenting Your Dog. It's extremely well written and full of helpful information. I can't say enough good things about it. I'm a much better parent to my beloved Maggie because of it. 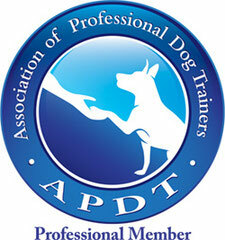 I’ve just finished Trish King’s Academy of Dog Behavior Level I and Level II. 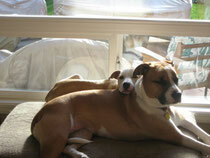 I highly recommend both to anyone interested in deepening their understanding and appreciation of our canine friends. The classes were just the right balance of theoretical content and live demonstration, with Level II having the additional dimension of hands on instruction. Trish King and Tricia Breen (Level II) are experienced and grounded professionals and instructors. They generate an interesting, safe, and entertaining experience. My classes contained a diverse student body which brought an unexpected highlight. Attendees included committed dog guardians, rescue/shelter staff and volunteers, professional dog trainers, and municipal shelter staff. The overall level of experience in the classes would be hard to duplicate anywhere else. I didn't know learning so much could be so fun. Trish's Canine Behavior Academy was not only chock full of useful information and history it was also stimulating, motivating and inspiring and served as the catapult for me to take more classes, read more books and change focus of my career. I also had the privilege of being able to sit in on a couple of her one-on-one consulations. Not only was it apparent she is a master of dog behavior and training it's clear she really cares for the people she deals with and is very creative in developing solutions no matter what the problem may be. 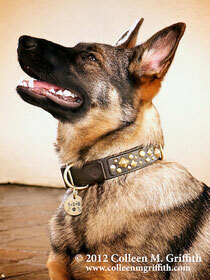 "My wife and I took the fall 2011 Canine Behavior Academy (CBA1) course taught by Trish King. In addition, our staff and I also took her Dog-to-Dog Aggression class before that. Rarely in all my years (and I have a pretty good bunch of them) have I been so impressed with the knowledge, skills, talents and personality of a teacher and human being. Trish was always patient with us, always showing absolutely genuine interest in everything we asked and suggestions, ideas we offered, bar none, whether brilliant or inane. I could tell that her central goal was to give us the best chance to learn as much as we could. As can be expected with so much experience in her field, she is an expert, but she never pontificated, instead acknowledging how much she yet needs to learn. She consistently and unblushingly spoke the truth, gently and analytically, in addition to imparting a stupendous array of knowledge, not just about dogs, but about life as well. Her delivery was often humorous (more than one student exclaimed she should be a stand-up comedienne), always immensely interesting, and often riveting. We looked forward to each and every one of our 10 CBA1 weekly sessions as if they were our week’s dessert. And we felt a true loss when the course came to an end (we heard many say they wanted the classes to continue forever). So, if you are ever fortunate enough to come under the amazing tutelage of Trish King, your life with (or without) dogs will change for the better, and the dogs who know you will be truly blessed." I have attended all of Trish’s classes in both Canine Behavior Academy (CBA) I and CBA II, watched several of Trish’s DVDs, and attended half a dozen of her one-day seminars outside of CBA. Trish has a wonderful way with both dogs and people: she is supportive, caring, immensely knowledgeable, engaging, and fun. In her classes and seminars, she creates an atmosphere where all types of training methods, tools, and behavior modification protocols are brainstormed and discussed freely, constructively, and without judgment in a group setting. When working with individual clients, her analysis and recommended behavior modification plans are quite practical, effective, and equally important, she sets realistic expectations even when dealing with some of the most challenging situations and unwanted behaviors. It’s clear that in addition to being very knowledgeable about behavioral science’s current understanding of canine behavior, she also has the experience of living with many dogs in her household, over many decades. And those experiences, coupled with decades working with shelter dogs and in a shelter environment, allow her teachings to be so relevant and edifying as well as allow her to provide such sage and comprehensive advice. Based upon my experience in working with other trainers and behaviorists, and in living with and working with dogs having many challenging unwanted behaviors, I personally believe Trish to be one of the best (if not the best) canine behaviorists in the San Francisco Bay area. As a novice in the field of dog behavior, and recent graduate of the Academy of Dog Behavior, let me say that Trish does not instruct, she shares the information she has learned in her own work and studies. Naturally, the information she shares is instructive. But her method of presentation is so engaging and informative, the breadth of the program is so great, her supporting commentary and videos so illustrative of the topics at hand, and regularly delivered with such a wicked sense of humor, you will be totally engaged. Attending the academy, you will have the opportunity to learn the basics. But from her tales of behaviors she has encountered through years of working with shelter dogs and private clients' dogs, you will also learn more about different canine behaviors (and their training options), some that many of us will never encounter in our own work. After attending the Academy, I'm much more informed on the subject; enough so that I know there is so more for me to learn, and I look forward to finding other classes. But I'm so impressed by Trish and the depth of her knowledge that, if we still lived in the Bay area, I would attend any class presented by her in a heartbeat! How will I use all the information I learned in this class? As a volunteer canine evaluator for Paws for Healing in Napa, CA, the information was helpful with my role in that organization. As a part-time pet sitter, I also benefited, and as the coordinator of the pet therapy program at a hospital where I work, I can only say this – I wish I would have taken this foundation class long ago! Because the field of dog training and care is not standardized like nursing for example in the human world, there are many approaches, philosophies, and methods used. Did Trish put her foot down, and demand that we adhere to one particular approach? No, instead she presented many of different issues of canine training and behavior in a way that encouraged us to think, and use our creative ways to deal with the many problems we are often faced with when dealing with animals. I would recommend the CBA class to others, and in fact, I have done so! I hope to expand my learning of canine behavior and training through more seminars with Trish, and through our CBA email list. 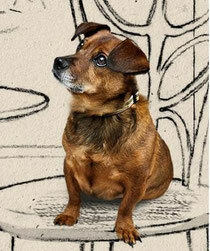 Her written material is always one of the first references I reach for when dealing with any canine-related issue." "If you are interested or curious about training your dog, cat, horse, children or spouse, this class is for you. You don't need any fancy training or prep to take the classes, but you will find interest here even with that background. I took CBA I & II, and as a volunteer notetaker was able to sit in on a number of behavior consults with Trish King. She is an astonishingly good teacher. Her explanations are clear and concise, with an absolute command of the subject. She is able to field questions only half-formed and make them into something useful to the group. And she does all this while being down-to-earth and funny-- her enthusiasm for the material is catching. I honestly believe she is one of the best teachers I've ever worked with, and consider my time with her to have been a privilege. These classes will stay with you whether you are a training professional or simply want a better relationship with your pet. FInd the time, commit yourself, and take this class!" 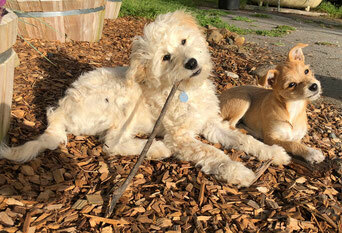 "Trish King's Canine Behavior Academy is a learning experience like none other. Her combination of lecture , video and hands on experience is invaluable. After completing Trish's Canine Behavior Academy I and II I was inspired to foster a dog for the first time and to eventually leave what had become a boring career for me to pursue my dream of helping people solve problems with their canine companions." "I have attended CBA I & II and many of Trish’s seminars and workshops. In each of these, Trish encouraged us to exchange ideas. Rather than telling us what we should believe, her lectures facilitated discussions and offered critical feedback without criticism. Through Trish’s guidance I have not only become a more knowledgeable and compassionate dog guardian, but also her insight and advice has made a tremendous impact on my ability to understand dog behavior. 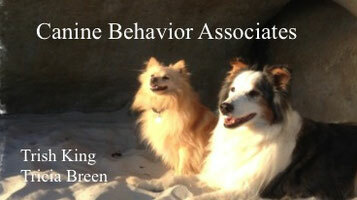 I have also been fortunate enough to have spent the last three years assisting Trish in behavior consultations. As a Behaviorist, Trish has the rare ability to communicate with and relate to her clients in an insightful, down-to earth way. 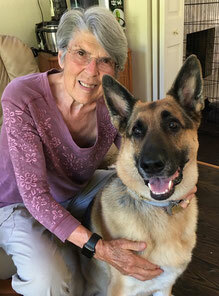 She combines compassion with humor and offers common sense solutions that help guardians overcome difficulties, improve their quality of life, and transform their relationship with their dog." 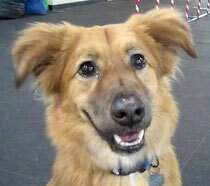 "Trish King is an exceptional instructor of canine behavior. Trish presents her considerable working knowledge of dogs and their behavior in fun and insightful way. Her students learn to understand the nuances of both canine origin and behavior as well as how they impact the human, canine relationship." I first heard about Trish King when a friend suggested I call her when I was in desperate need of help with a difficult dog. Once I spoke with her, I knew I had to meet her and find a way to learn more from her! The Canine Behavior Academy provided so much useful information--both theoretical and practical. It has changed for the better how I interact with dogs and dog owners. Not only is her breadth of knowledge and experience impressive, Trish shares her knowledge with great compassion and humor. I would recommend Trish's canine behavior courses to anyone who wants to learn more about dogs and how to enrich the lives of our dogs and ourselves. The hands-on work that Trish provides in her CBA-1 and 2 classes is invaluable. I had been assisting in a dog training class before taking CBA-1. After completing CBA-2, I started helping in a new class. I was elated to find that I felt like a completely different trainer the second time around. I had so many more tools in my toolbox and more confidence after taking the CBA courses. I could look at a dog and its handler and zero in on things that they could work on, whereas before I had felt more like I was just helping the other teacher run the drills. If you want a solid foundation in working with dogs, Trish’s CBA courses are the way to go!